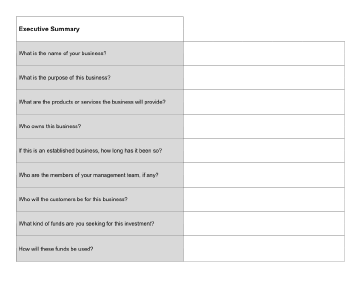 This Business Question and Answer Worksheet asks the questions you need to answer to get your business up and running. What are the products or services the business will provide? If this is an established business, how long has it been so? Who are the members of your management team, if any? Who will the customers be for this business? What kind of funds are you seeking for this investment?